Starting September 15, Ubisoft will release free downloadable routes for console owners of Driver: San Francisco. 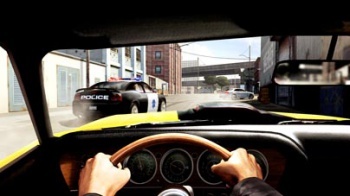 News that Driver: San Francisco would use Ubisoft's infamous always-on DRM - which forces the player to maintain an internet connection while playing - created some unrest among gamers. In what could be viewed as an apologetic move, the publisher is making 12 Driver: San Francisco routes for online modes available as a free download in just over a week. Strangely enough, the freebies have only been confirmed for the Xbox 360 and PlayStation 3 versions of the game, though most of the publisher's current DRM controversy has revolved around the PC platform. After the initial batch, one extra route will be made available each week for the subsequent 10 weeks. Console versions of Driver: San Francisco are now available, but the PC version won't be available until September 27.